Amrita shared the pictures on her Instagram account. 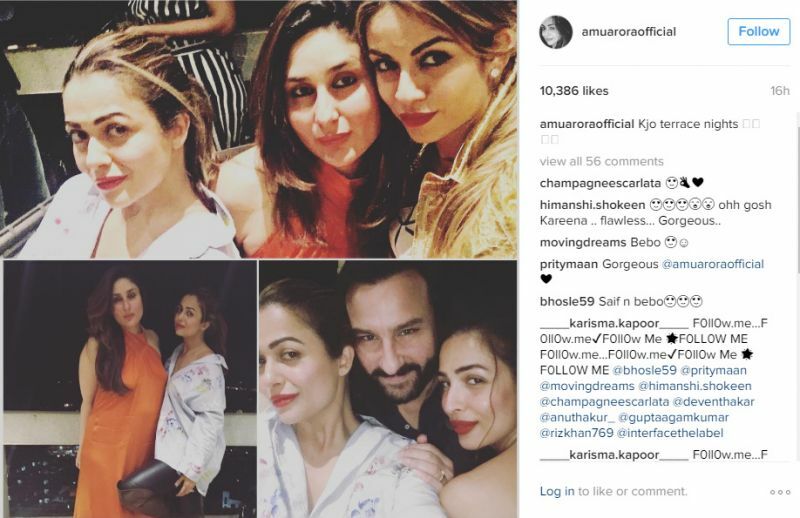 By now, we all know that Kareena Kapoor Khan and her girl squad know how to party. 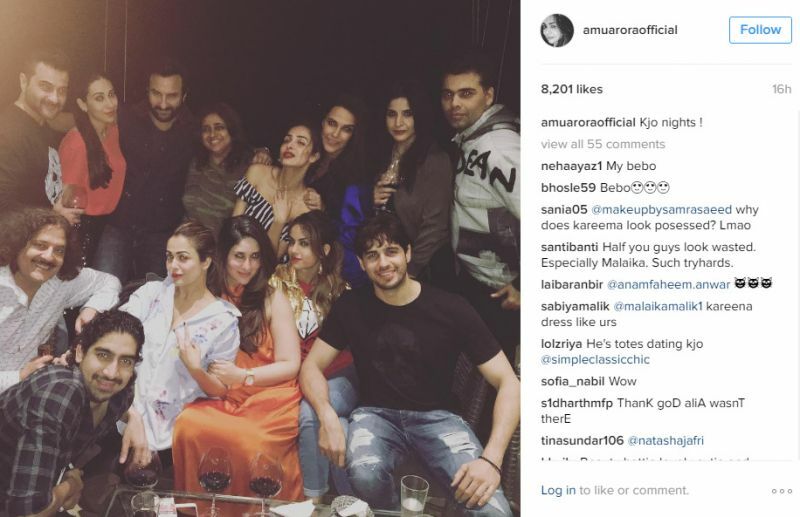 On several occasions we have spotted Kareena having a gala time with her sister Karisma, Malaika and Amrita. Kareena, who rocked her pregnancy and gave birth to an adorable baby boy, Taimur Ali Khan Pataudi, is already back in action. 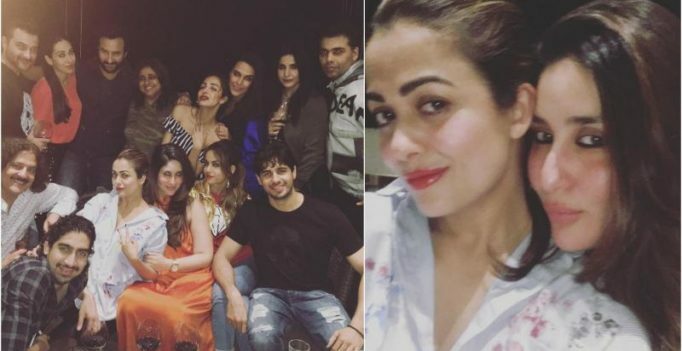 Recently, we spotted Kareena partying hard with hubby Saif Ali Khan, Karisma, Amrita, Malaika, Ayan Mukherji, Sidharth Malhotra and others at Karan Johar’s private bash which was held on his terrace. We also spotted Neha Dhupia, Maheep and Sanjay Kapur. Amrita shared few inside pictures from the bash on her official Instagram account.